Home › Home › Tips & Tricks	› How to change pricing plan from backend? 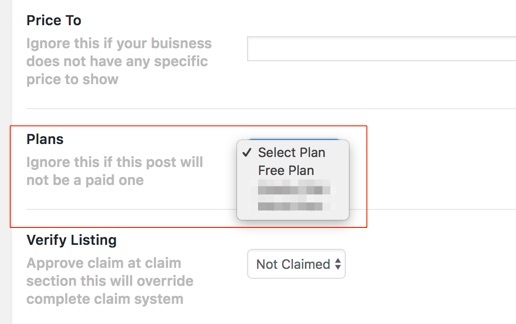 When adding or editing a listing from backend you won’t have an option to select a pricing plan. The good news is that the option is there but it’s hidden so only who needs it and understands the consequences of changing this setting must enable it. 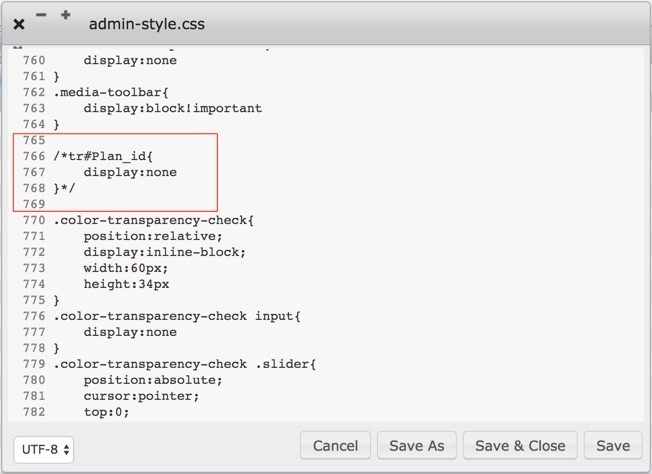 STEP 3: Hide or remove the following css. To temporarily enable this feature simply add /* before and */ at the end. See below for example. STEP 4: Verify the pricing plan option is visible in the backend when you edit any listing.